A few, or maybe some, people doesn’t know that the Philippines has its very own Safari Park. We have zoos, parks and some wildlife centers but nothing like a true blown Safari that countries like Botswana and South Africa has. 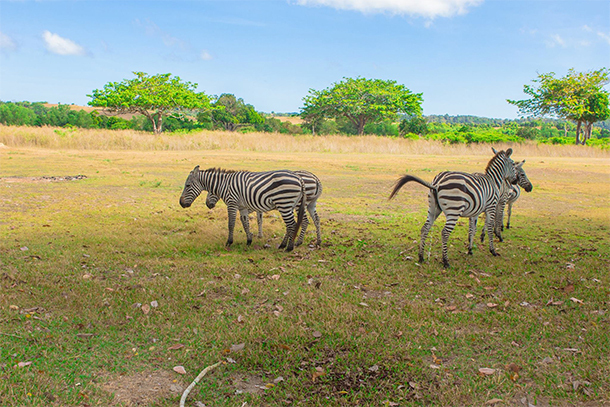 The Calauit Safari Park is a game reserve and wildlife sanctuary in the Calauit Island of Palawan. 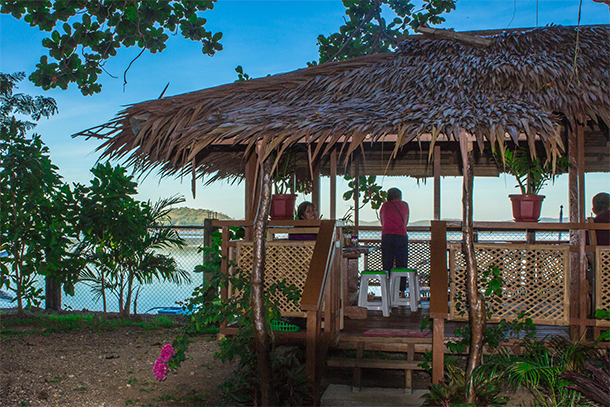 It is one of Coron’s attractions that are made available to locals and tourists. 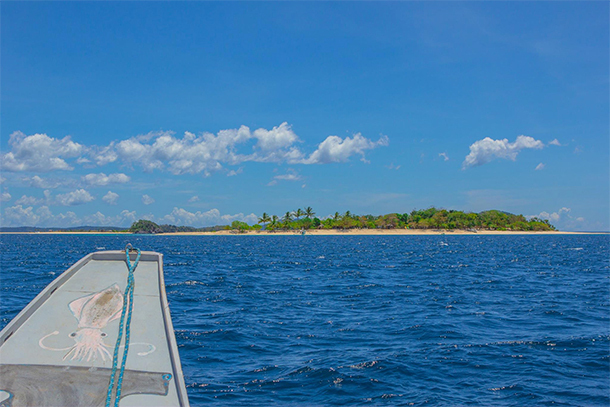 The Calauit Safari Tour Itinerary includes a visit to the reserve and some of Busuanga Bay’s amazing islands. 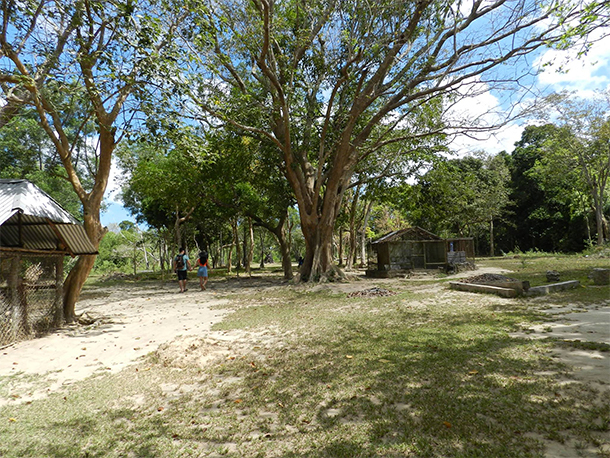 The Calauit Safari has been opened to the public as an eco-tourism attraction in the past years, but sadly, it was not properly funded. Hence the declining number of wildlife that the island has. On our visit to Calauit, there were only a couple of wildlife there including some giraffe, zebras, a porcupine and wild boars among others. Even the locals – those that we talked to- were dismayed over the lack of funds provided to the Safari. Personally, the Calauit Safari Tour Itinerary would have been more amazing if we were able to visit it a few years back, when wildlife was still abundant and the island was still properly maintained. 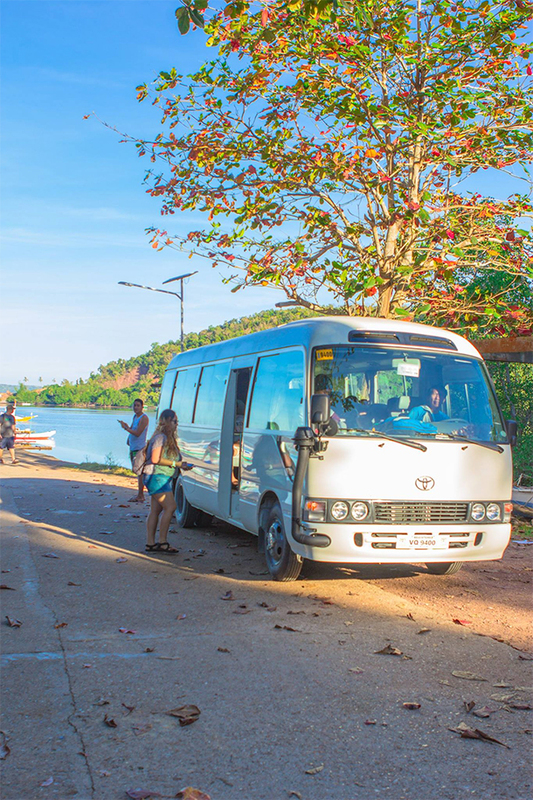 For this side of our trip to Coron, we decided to avail the Calauit Safari Tour on one of Coron’s local travel agency for a more convenient visit. Price range of the tour is around 2,300 – 2,500 Php (46.23 – 50.25 USD). 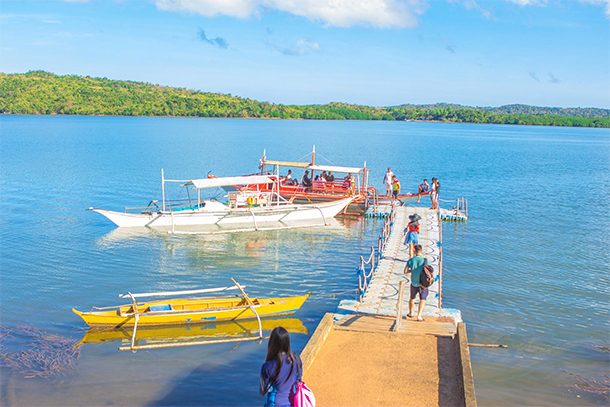 This includes the transportation, entrance fee, breakfast, lunch, water, banca ride for the Island hopping and of course the tour guide. The tour started at 7:30 AM and ended around 3-4PM so we have scheduled it on our 2nd day in Coron. We spent the entire first day exploring the Coron Town ourselves. We forgot to ask if we needed to bring our swimming gear and island hopping essentials, thus we were not prepared for the island hopping activity later that day. Admittedly, it was not really disappointing since we had our Ultimate Tour planned the next day where we can enjoy swimming to our heart’s content. 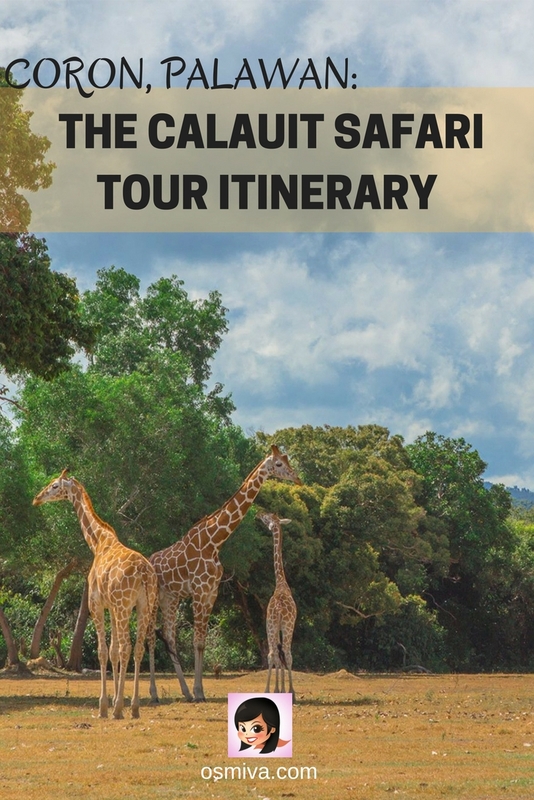 For a quick look on our Calauit Safari Tour Itinerary, here are some of the things that you will be doing should you decide to try it – which I highly recommend you do! We were picked up from the lodge at around 4AM. The lodge (where we booked the tour package) provided us with sandwiches for our snacks along the way as it was too early in the morning. 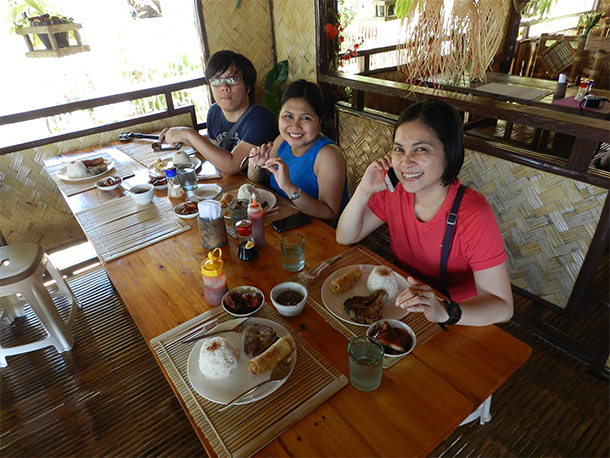 From there, it took us around 2 hrs to arrive at our first destination – Salvacion, Busuanga – where we had our breakfast. 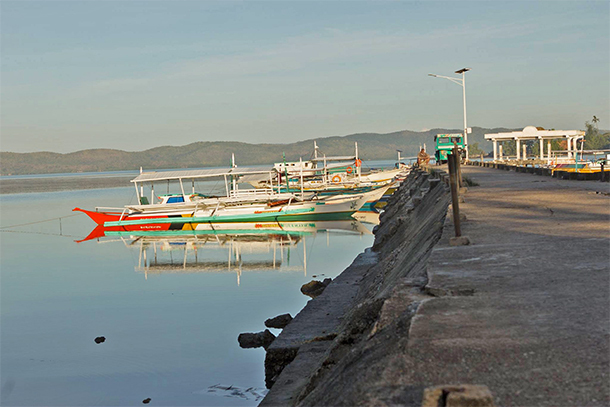 After breakfast, we went back to the van and headed out to Macalachiao for a short banca ride to the Calauit Dock. The place was not crowded when we arrived, I assumed we were a bit early. There were other groups who have also joined us during the Calauit Safari Tour. 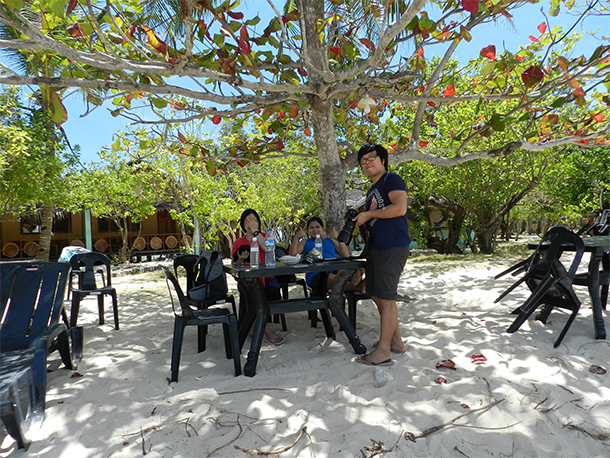 We had 2 bancas for the entire group and it took us around 5-10 minutes to reach the Calauit Island. We were requested to sign up on the registration area and had to wait for a couple of minutes for the jeep/ truck that will take us to our first stop of the tour. 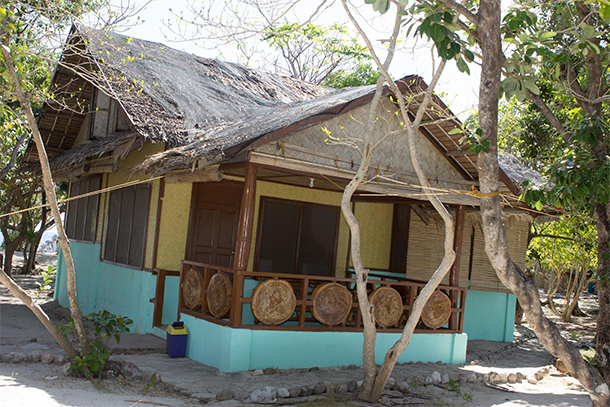 Entrance Fees ranges from 50 – 400 Php (1.01 – 8.09 USD). 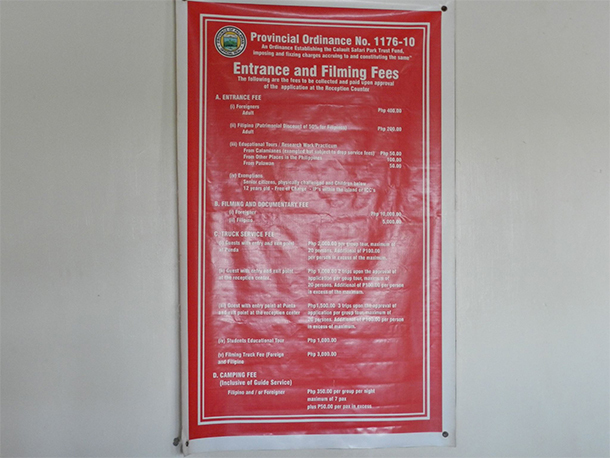 Additional fees are also required for the use of the jeep, filming, documentary and camping. Calauit Island only had one (1) service to take their guests from one place to another, so some of us were prompted to walk a short way to meet the jeep/ truck after it dropped the first batch. This was just fine since it was just a short walk and I particularly enjoyed the chance to stretch my legs and get some exercise. The weather was also cooperating that time and it added beauty to the place. 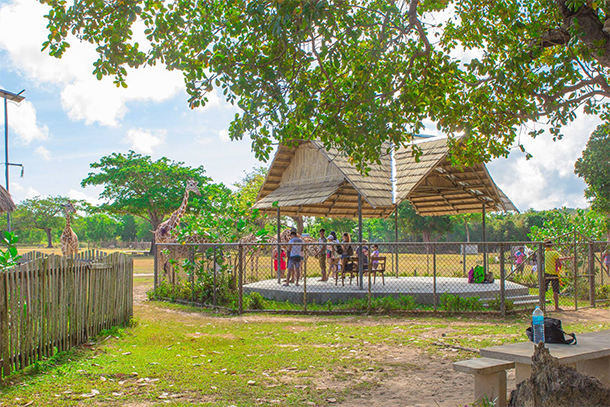 As the name obviously implies, this is where the guests can feed the giraffes and get up close to them. Zebras can also be seen grazing here, though you can’t really go near them since they might kick you if you get too close. There were benches were you can sit under the shade of the trees and enjoy the view. A pen was set-up at the Feeding Station. 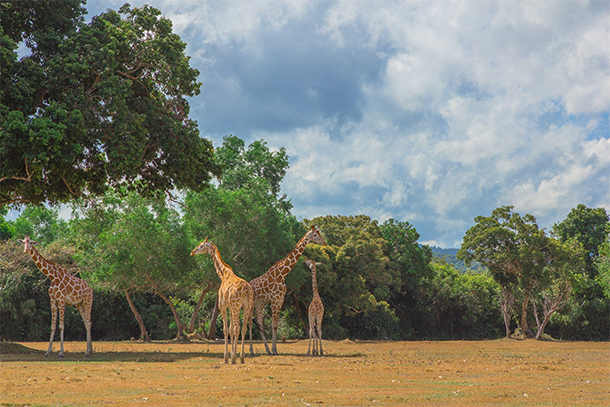 Guests of the Calauit Safari Tour will have to enter here in groups, grab some leaves (provided by the guides) and go near the giraffe to feed them. The rest of my family were pretty game in feeding the giraffe, though I wasn’t. I was hesitant because I was pregnant. 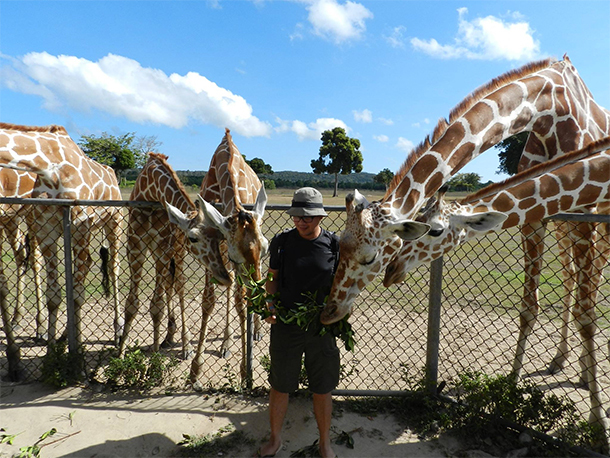 But it was still pretty cool to see the giraffes’ grab the leaves from the hands of the guests who wanted to feed them. 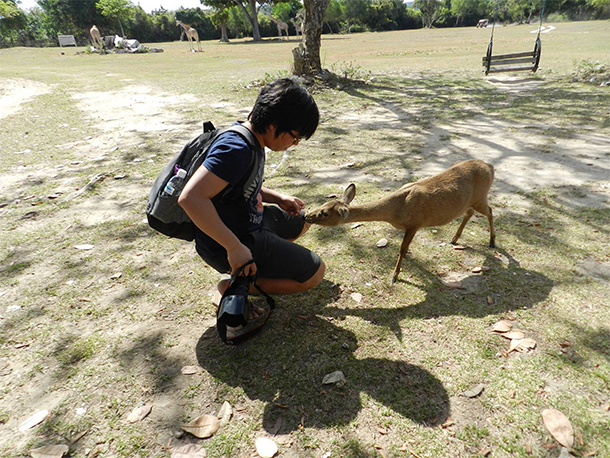 There were a couple of Calamian Deer that approached us as were waiting for the jeep/ truck to take us to the Mini Zoo. They were friendly and even allowed us to feed them and get close enough to take a picture. 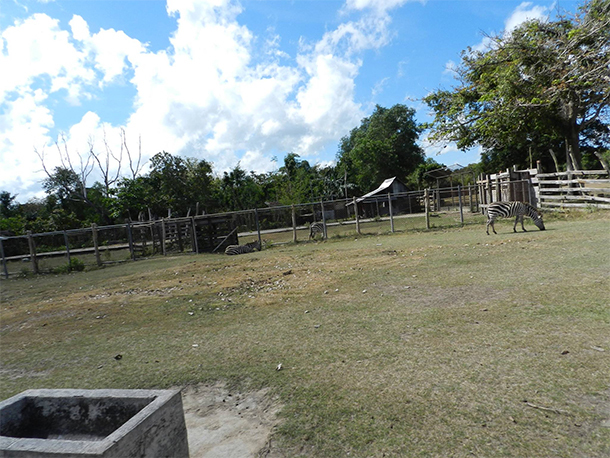 Our second stop on the Calauit Safari Tour was the Mini Zoo. It’s a small portion in the reserve where a handful of animals were being kept. This includes a porcupine, an eagle and a snake among others. 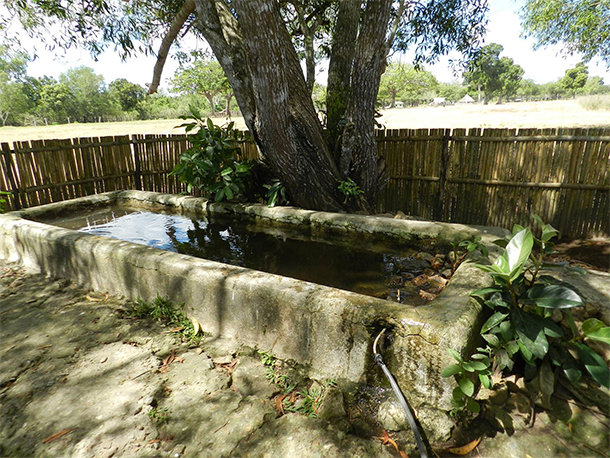 As mentioned by the guide, the number of animals being kept in Calauit had dwindled over the years. It was too bad since the place was situated on several hectares of land. It would have been a great place to visit if there were much more. After the Mini Zoo, we were taken to this small pen for turtles. The turtles were placed on a concrete pool-like area where they get to swim and where guests can take a look at them. We were supposed to have our last stop at the Wild Boars. It was located a few meters away from the turtle’s pen. But most of the guests did not want to stop – it was around noon that time. It was understandably so because it was too hot. We just continued our way back to the Reception Center. PS: The Zebras were grazing near the Wild Board Pen when the picture was taken. LOL. 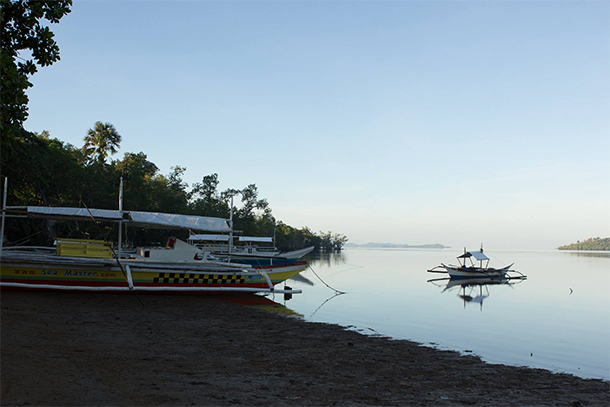 After a few minutes rest, we once again boarded the banca to Macalachiao and headed back to Salvacion. All-in-all, the Calauit Safari Tour was great! The guides were friendly and very knowledgeable. We had our lunch on the same place that we had our breakfast. The staff were very accommodating and the area was peaceful. 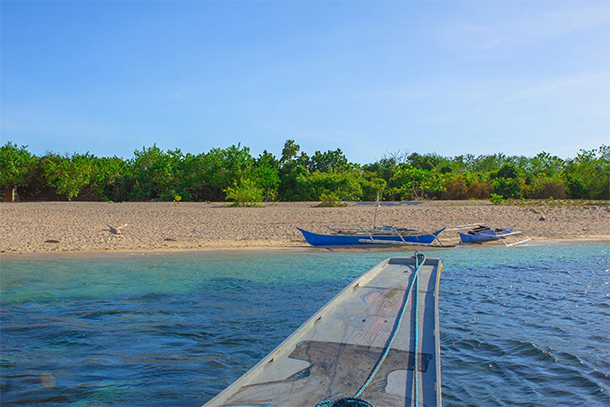 It was situated near the port where we would take our banca for the island hopping – a side trip of the Calauit Safari Tour. It took us about 10-20 minutes to reach our first stop: the North Cay. It’s a small island that is currently being developed. They had several rooms/ hut for guests staying the night. Too bad I did not get to explore it that much as it was pretty hot and I was feeling exhausted after all the walking and standing (struggles of being on my 2nd trimester!). The shade, soft breeze and the view was just perfect. We were really glad to have spent about an hour just lounging around! 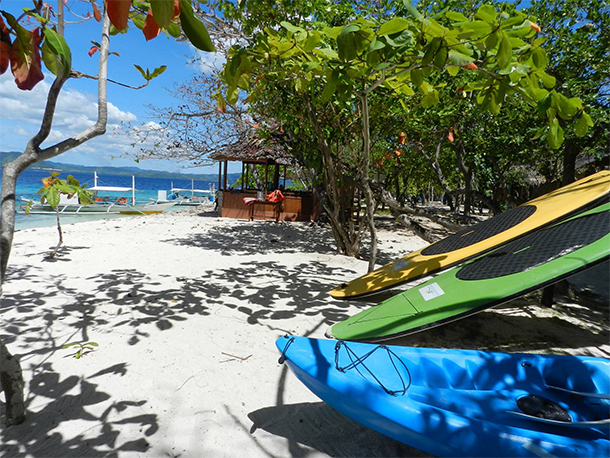 The island also has some water sports/ activities that you can enjoy. 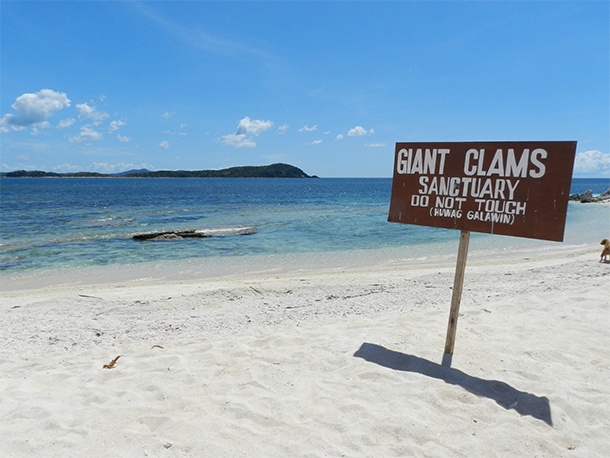 This includes a visit to the Giant Clams Sanctuary, which reminded me of our trip to Camiguin and kayaking among others. And I must say, the water was really inviting! See for yourself! 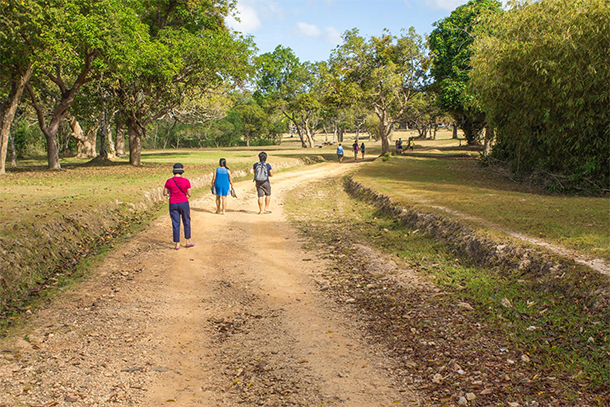 Our last stop for the side trip of the Calauit Safari Tour was to the Pamalican Island. It was about 5-10 minutes ride from North Cay. According to our guide, it was still under development. 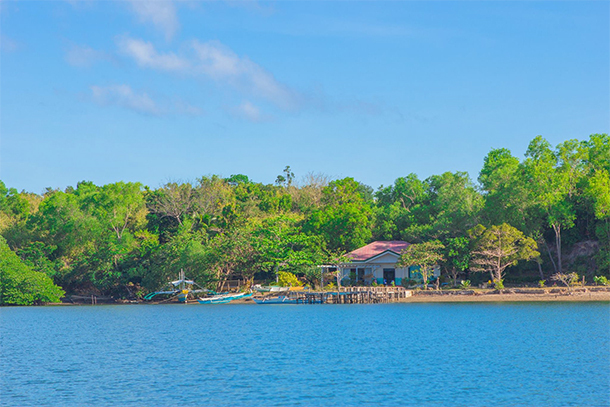 Like the North Cay, Pamalican also boasts the same fine white sand and crystal clear waters that we have associated with most beaches in Palawan. There were several benches under the shade, perfect for those planning a picnic trip. We too spent most of our time just enjoying the view under the shade of the trees. It was around 2-3 PM at this time and it was pretty hot! 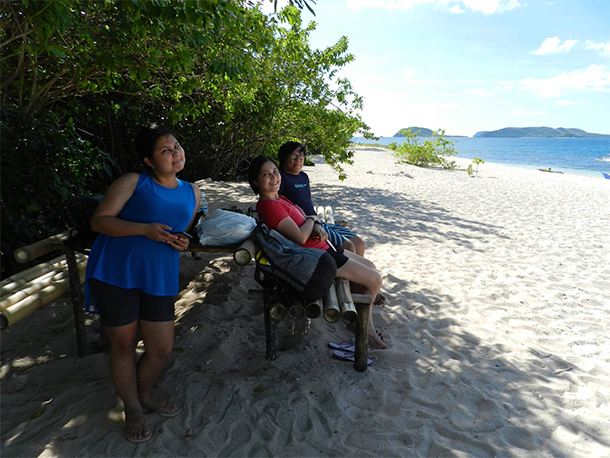 After 30 minutes, we went back to Salvacion aboard the bancas, signaling the end of our Calauit Safari Tour. The ride back to Coron was pretty much uneventful. Good thing too since most of us were pretty tired. Overall, the Calauit Safari Tour was pretty great though a bit heartbreaking at some point. It was just sad that it wasn’t getting that much financial support from the government or from the concerned sectors. I know there are two sides of every story, so who am I to judge or blame? It cannot be denied, however that it was a bit disappointing that the game reserve was not getting enough financial support to keep it properly maintained and protected from poachers and such. It was far from its previous condition where the wildlife was thriving and the area was well-protected. 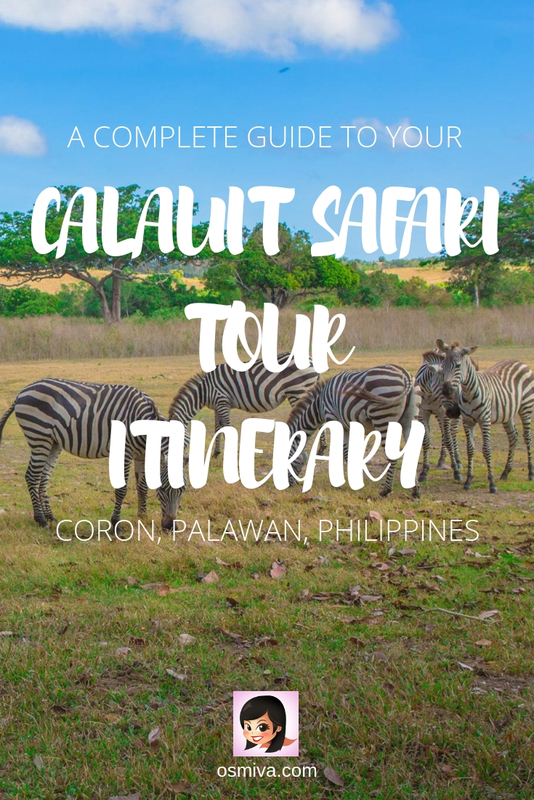 To better appreciate it more, I encourage you to try and include the Calauit Safari Tour on your itinerary when you do visit Coron and I’m sure it will also capture your heart as it did to mine! Have you been to Calauit Island or any game reserve lately? Share your thoughts on this! This is so cool! I wouldn’t have expected there to be a place like this in the Philippines! 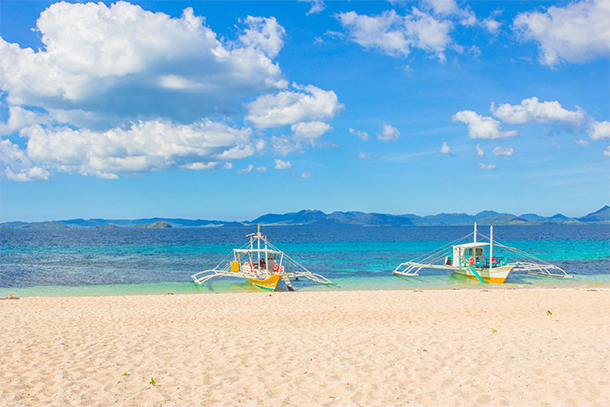 I’ve been wanting to visit the Philippines for a while, so I’ll definitely have to make sure I visit Calauit when I go 🙂 The beaches you visited in the afternoon look incredible too!! Hello Leah! I think kaya naman for the Calauit Safari alone… The tour usually starts in the morning and it’s just a half day event. 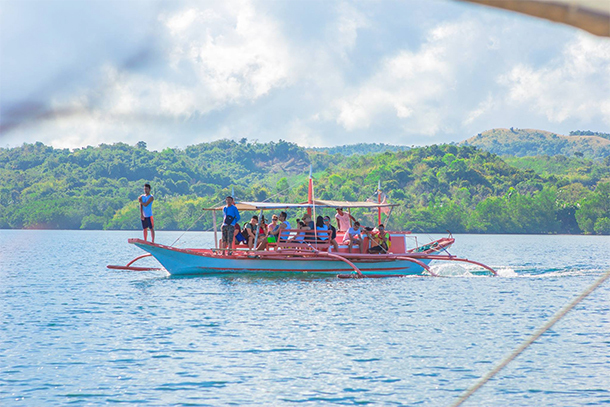 But I think the Busuanga island hopping (if included sa tour niyo – you can inquire sa Tour Operator nyo for the inclusions) would be skipped. Hope this helps! I had no idea the Phillipines had a safari, how amazing!! The feeding stations sound incredible 🙂 so good to know this is here! I had no idea this was in the Philippines! The beaches there are so pretty, but this sounds like it is a good way to do something different while there! Wow this looks amazing. Never thought in my life that Philippines has a part of Africa. 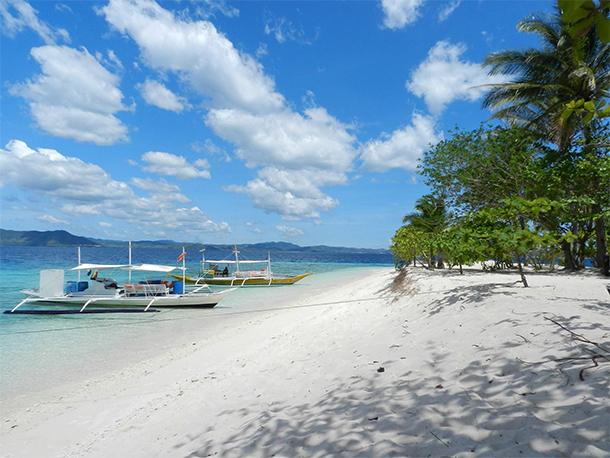 I have tried visiting Boracay. such a great place. My next target is Coron this year just and this is just the right info I need. thanks for this article dear. This would be such a good experience! I didn’t realized that most of those animals were in this region! The day looks absolutely perfect from your pictures! Look at those clouds! And I also love how you introduce so many great places in the Philippines! Well done! I had no idea that you could do a safari like this in the Philippines! I do hope they get more funding too though. I am definitely going to check this out when I finally make it to the Philippines. The Philippines looks so beautiful! I never knew safari’s were a thing outside of Africa haha. The lack of financial support is a real shame. Cool safari park, and that island hopping add-on looks brilliant! Yes, it was.. 🙂 The island hopping was indeed great! Yes it was indeed a unique place to visit in the Philippines 🙂 Thank you Steph! Add me to the list of people who had no idea there was such a safari park in the Philippines. It’s really a shame about the lack of funding, though. Hopefully the situation changes soon. What travel agency did you get? Can you please give me their contact details? I would appreciate it very much. Thanks for this wonderful article. 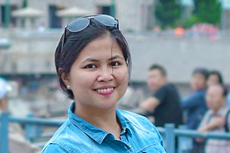 Hi Czarina. 🙂 We booked through Darayonan Lodge. I sent you an email 🙂 Thank you so much, I’m glad you liked this article! 4PM kasi ang flight namin, plan namin gawin to sa last day. So pwede ba namin i skip yung Busuanga Island Hop? Ano kaya ang arrangement nun? Hello Marvi. Thank you for your beautiful share. I have an 8-year old daughter who loves animals. You said that the animals are already dwindling in population, is it still worth going there in Calauit Safari? Thanks again. Hoping you’ll have more fantastic travels and blogs. It helps a lot. Hi Marvi! Great post, so informative and helpful! I love seeing different kinds of animals that’s why I love going to zoos and safaris since I get to see animals there. 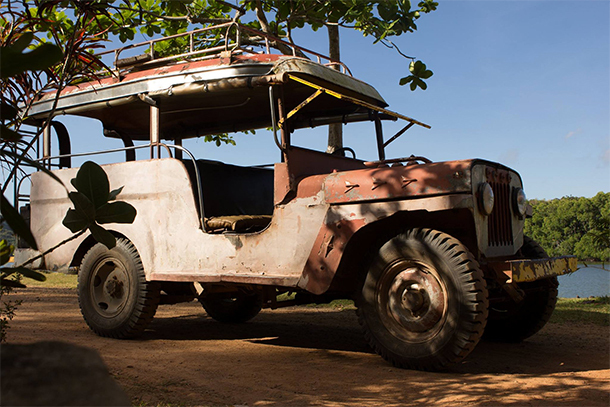 Thank you so much for writing up about Calauit Safari tour! You’re welcome.. 🙂 And thank you for dropping by!